Super fun and trendy alternative to the 'old' disposable sandwich bag. 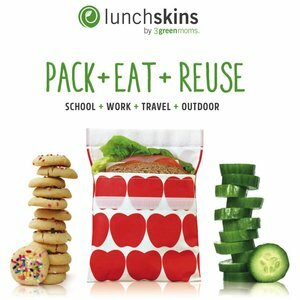 Lunchskins creates a revolution at lunchtime. Ideal for school, at work or on the go. For sandwiches, fruit, snacks and other small items. Each bag fits 2 sandwiches.